Which is why I loved how today's projects worked out. 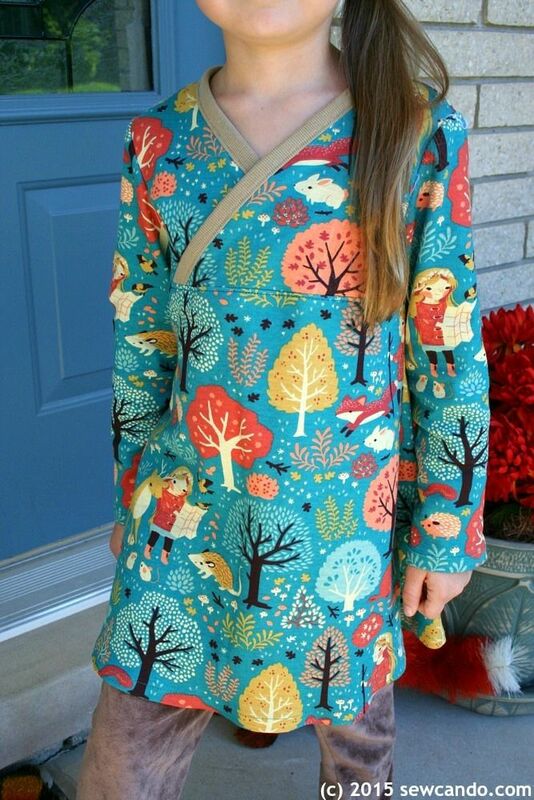 I found a great knit girl's style that is fairly quick to sew, looks cute and has allowed me to use up a lot of those hoarded Fall fabrics. 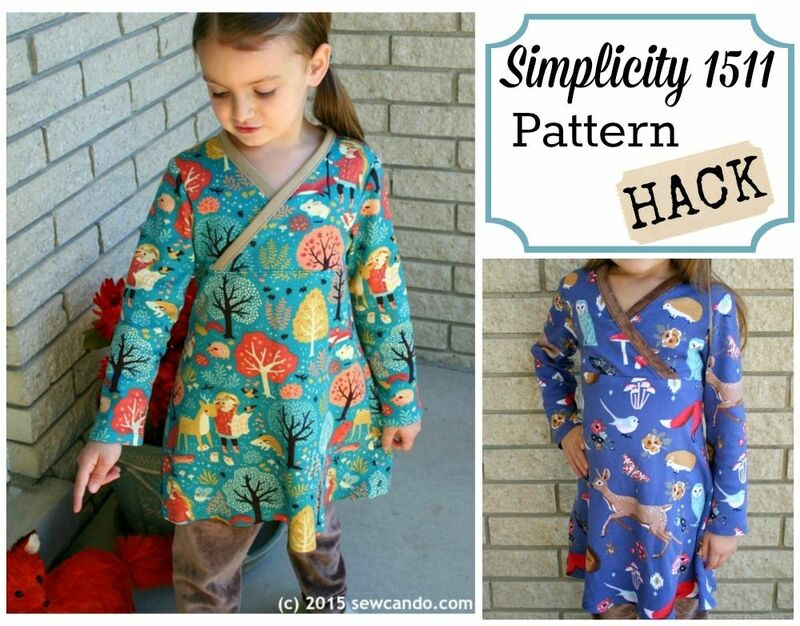 These wrap-front dresses are actually a pattern hack of Simplicity 1511. The wrap-around neckline in the pattern is supposed to be a sewn-in, lettuce edged, collar piece made from the main fabric. The hem length options were either a slightly too short top or a weirdly too long nightgown-like dress. I said no to all those to make this look instead. It's classic, easy to do and adds a nice solid trim to balance a busy print. 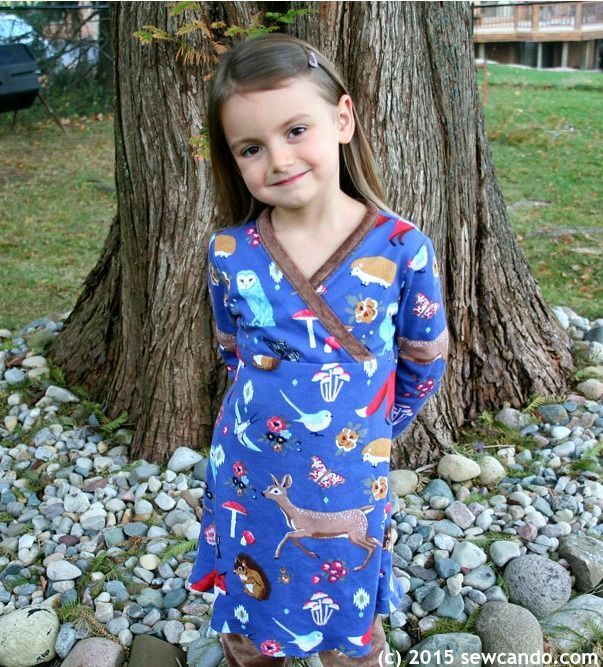 Here's what I did: I started by adding about 4 inches to the tunic length so they would be full length dresses. I then trimmed about 3/8 inch from the neckline portions of the back and overlapping front pieces, since a seam allowance there wouldn't be required now. Then I cut a piece of ribbed knit that was 2 inches wide by the length of the total crossover neckline when assembled. 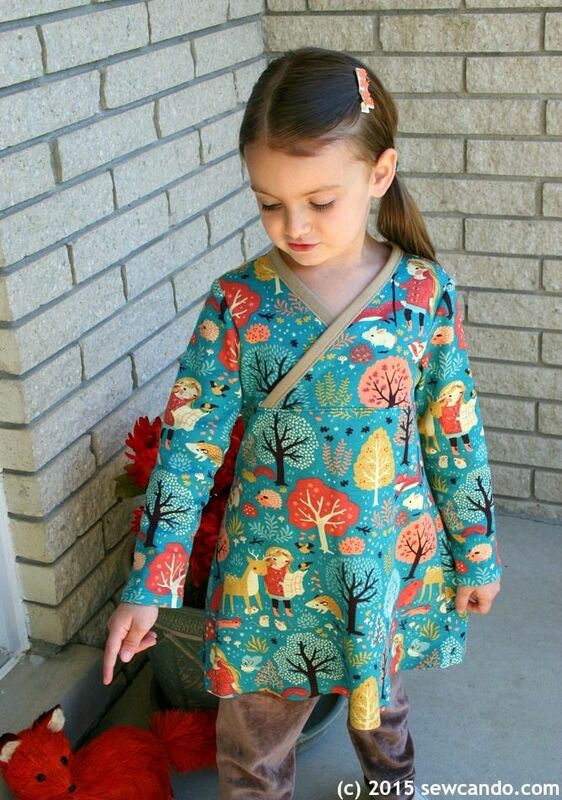 The pattern also called for giving the sleeve and dress hems a lettuce edge as well. Ironically that ruffle edge was what drew me to the pattern when I bought it last year, but I was not impressed with the awkward, illogical directions for doing the neckline lettuce finish (the lack of user results online kinda confirms my suspicions their technique isn't so hot). 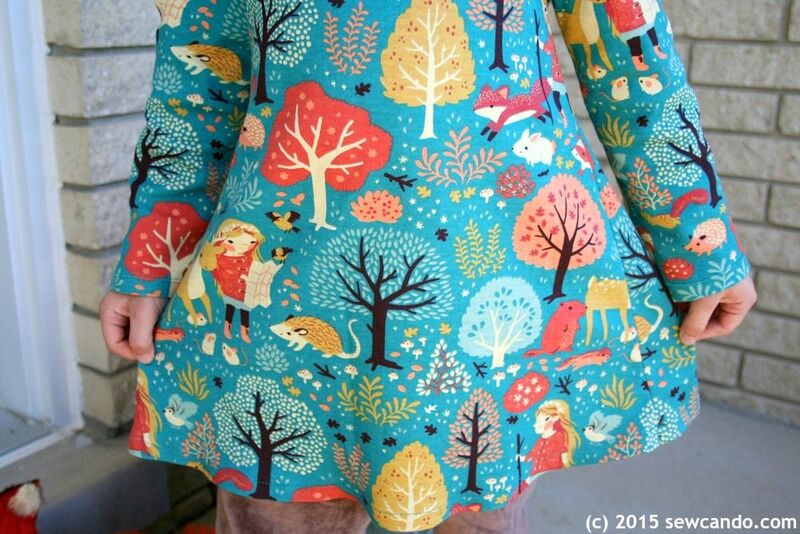 So I'd let the pattern sit forgotten in my pattern pile until now. 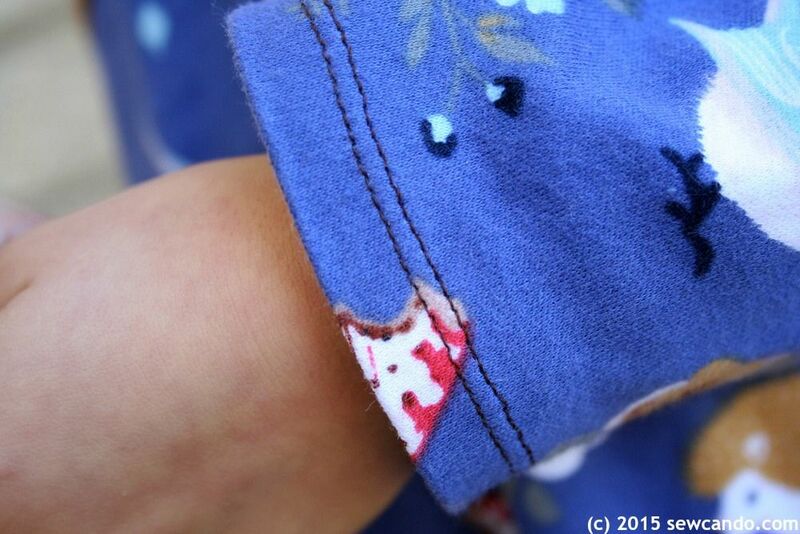 I also wanted the sleeve edge and hem to have a uniform look with the ribbed neckline, so I did the standard fold-up and twin needle top-stitch I usually do on knits. 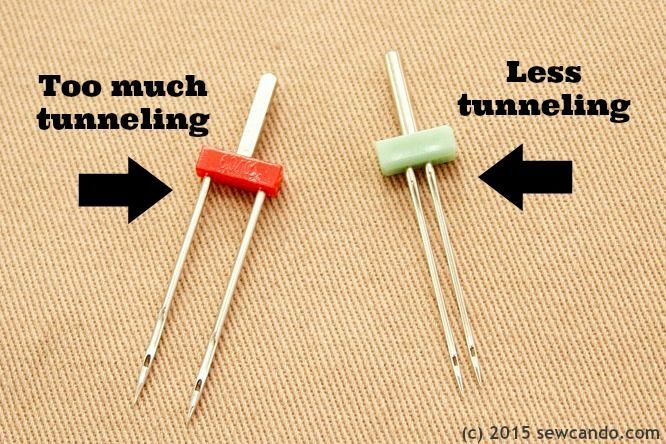 To get as close to a factory-perfect finish as I can on my standard sewing machine, I use nylon thread in my bobbin, a narrow twin needle (I HATE the tunneling look that almost always happens with wide twin needles, so the narrower the better). 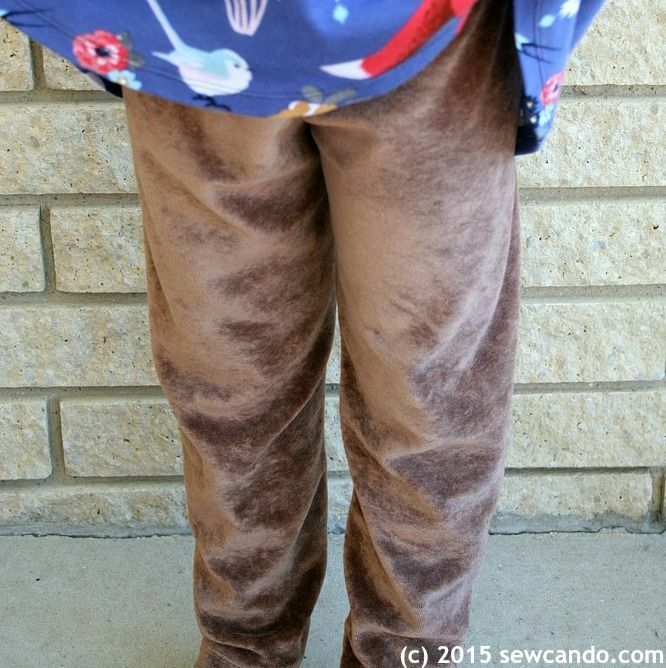 I did use the leggings that were included in the pattern to make some matching velour bottoms. They turned out fine with the Simplicity directions, but FYI - the inseam on the pants version also included is ridiculously low, so that's definitely is one to modify. This is one of my new go-to looks for my little lady. 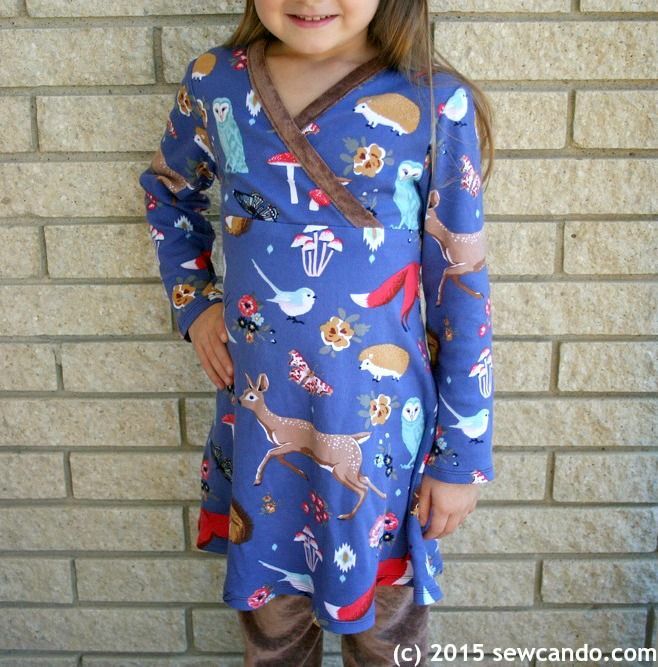 It sews up quickly and can be casual or dressy and worn with tights, leggings or pants. The fabric and trim choices keep it looking fresh, so I don't mind having a bunch of this style in her closet. I've even got a few more hack ideas to give it more versatility, so stay tuned - a few new versions may appear sometime soon! What a CUTE dress! You've done well! My grandmothers was a wonderful sewing "machine." She could make anything! Wish I'd gotten her talent for such things. Just not my cup of tea. But, I really do appreciate these talents! And, you are talented. Came over on Grandma Ideas today. Thanks so much Melanie. My grandmother was like that too and I wish my interest in sewing had happened when she was still around and could have taught me rather than me having to teach myself these past few years. We've all got different creative outlets, so for sure go with what you love to do most. I love this! 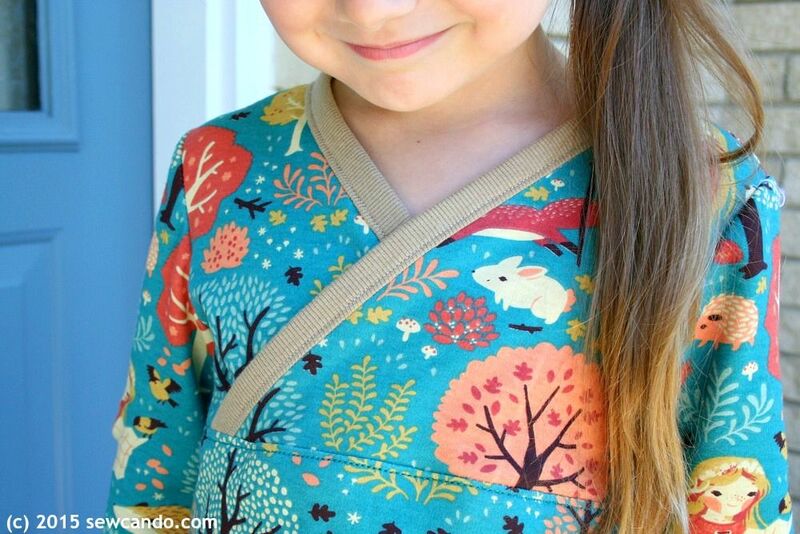 I'm planning on using this pattern for my daughters' Christmas pajamas this year, but I love the idea of modifying the neckline and making it a dress!